Roxbro House offers five star rated accommodation within the medieval village of Warkworth in Northumberland. Our guest accommodation is directly opposite a 12th Century castle and is just a short drive away from the lovely town of Alnwick. Our award winning breakfast is served in our light and airy garden room or alternatively during warmer weather breakfast can be enjoyed on our garden terrace. Of course should you wish to indulge yourself, complimentary room service is available! The garden room is adorned with antique oak furniture where we dress our tables with crisp white linen, sterling silver and fine bone china. We serve only the finest produce, complemented with fresh warm toast and a selection of fine teas and coffee. Maybe we could even tempt you with an indulgent glass of bucks fizz. We are just a 10 minute drive from Alnwick Castle and Gardens and 30 minutes from Newcastle. There is something to suit all the tastes in the area and a range of places to explore. 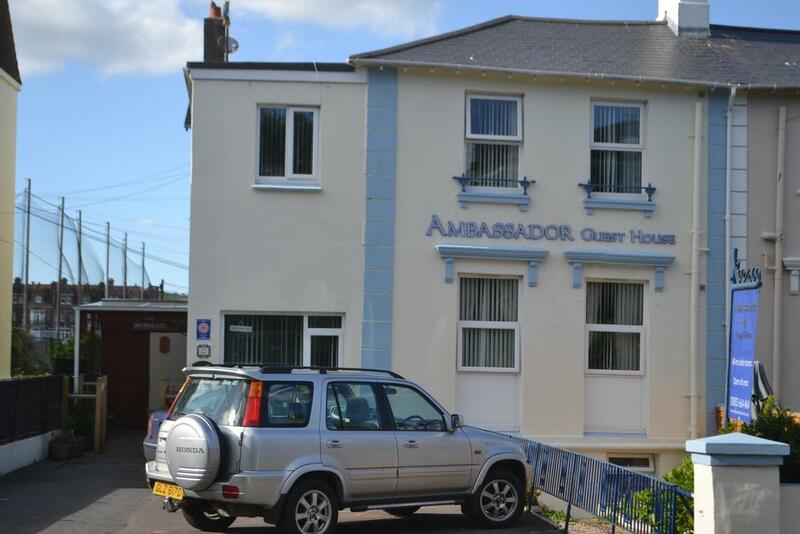 Ambassador Guest House offers comfortable guest accommodation within the seaside town of Paignton in Devon. The guest house is located close to the sandy beaches, Victorian pier and the bustling harbour. As well as standard rooms, we also offer superior rooms at the guest house. These are larger rooms that are perfect for a special occasion. All guests will receive their own key for the duration of their stay meaning you can come and go as you please. During your stay, you will also have the use of the resident’s lounge where there is plenty of comfortable seating. In the surrounding area, there are numerous things to do including taking a boat trip from the beautiful harbour, fishing and even trying out some watersports. We are located close to Paignton Zoo where there are numerous animals to meet, learn about and even feed! Also located close by is Dartmouth Steam Railway, Quaywest Water Park, Oldway mansion, Agatha Christies Greenway mansion, Occombe Farm and much more. The River Café B&B and bunkhouse is located on the banks of the River Wye near Hay-on-Wye. There are 5 en-suite rooms and a new contemporary style bunkhouse, with a slide. The bunkhouse is available for group hire and sleeps 14 in bunk pods and 1 king size bed. It has 3 swanky bathrooms and a slide to get down to the ground floor. The River Café is part of the Wye Valley Canoe Centre so you can hire canoes and kayaks from the door. 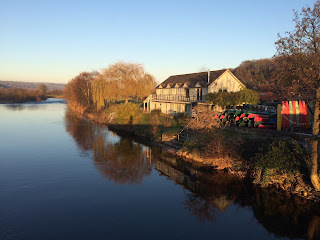 We are on the Wye Valley Walk, the Sustran Cycle Network and ideal for the outdoor mob and for those wanting to relax, read the papers or a good book, enjoy a cappuccino or a beer and watch the river from the decking. The licensed café serves great food cooked daily. We are 5 minutes from Hay-on-Wye and at the foothills of the Black Mountains so a great base to explore this wonderful area. The atmosphere is friendly and informal. Packed lunches can be ordered from the café. Otters Green Bed & Breakfast is located in the beautiful village of Botley near Southampton. Our B&B can be found in the heart of a beautiful conservation area which is ideal for those who are looking to get away from the hustle and bustle of everyday life. We offer secluded bed & breakfast accommodation that is in a truly beautiful setting within Hampshire. En suite bathrooms in each guest room. Each room opens onto the veranda. Self service continental breakfast at your leisure in the Old Granary. Quiet patio area and garden. Each guest room has its own entrance that opens onto the veranda leading to a charming, secluded patio, garden area and adjacent granary. 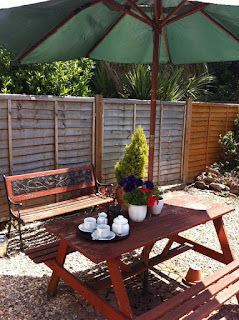 We also have self catering accommodation available in Woodland Chalet Cottage. This is ideal for short breaks, special events or family gatherings. The chalet sleeps up to 4 people and is well equipped. 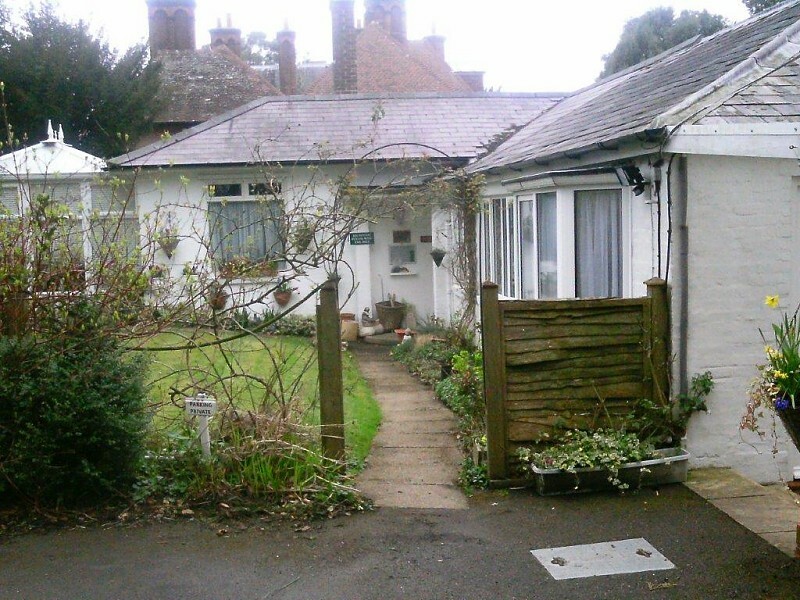 The bed and breakfast is only a short walk away from the centre of Botley village and it is within easy reach of Southampton International Airport and the major cities of Southampton, Winchester and Portsmouth and is centrally placed for many of the south's leading attractions. 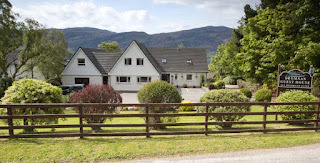 Lochview Guest House offers guest accommodation on the outskirts of the fishing village of Ullapool. Dromnan Guest House has 7 bedrooms. 3 doubles, 2 twins and 2 family rooms all with en-suite bathrooms. 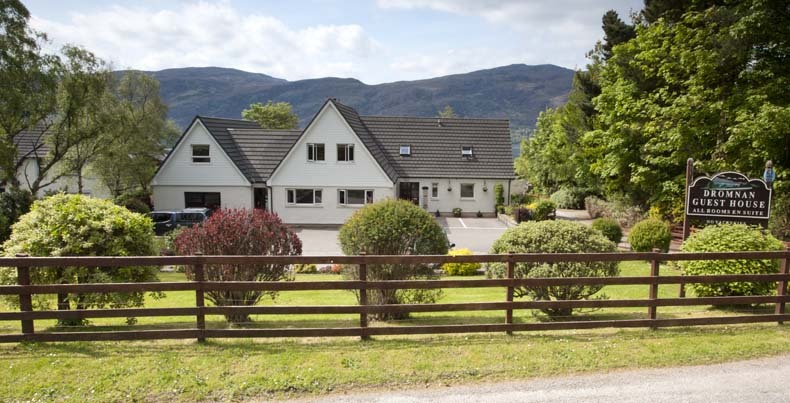 The two twin rooms and one of the family rooms have breathtaking sea views over Loch Broom. A tasteful hearty Scottish breakfast is served to you in our dining room where you will enjoy stunning sea views and a sumptuous buffet. Residents can also enjoy our outdoor patio, with breathtaking sea views over Loch Broom. This lovely village of Ullapool, on the coast of one of the most beautiful parts of the Scottish Highlands, is a perfect base for a holiday. Here you will find one of the last unspoiled environments in Europe, and a tranquillity that will soothe you. It's a perfect place for walkers and climbers and if you feel less energetic driving is a pleasure here, with good roads, spectacular scenery, and minimal traffic. So come and stay for a while, but be warned! You probably won't want to leave. Riverdale Hall Hotel is a country house hotel located in a picturesque setting just outside the town of Bellingham, Northumberland. The hotel has plenty of facilities, well-appointed bedrooms and an award winning restaurant. There is a range of bedroom types available at the hotel and all are en-suite with a TV, telephone and tea/coffee making facilities. Some of the rooms even have their own balcony or patio area. The award winning restaurant can seat up to 90 people and it serves a range of dishes, specialising in Northumbrian lamb, Kielder venison, local pheasant, partridge and fish caught locally. 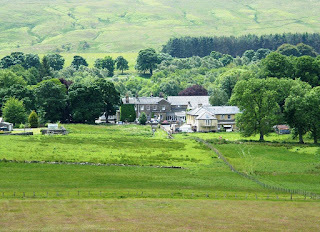 If you wish to relax then the hotel lounge offers a relaxing environment with views over the grounds and Dunterley Fell. 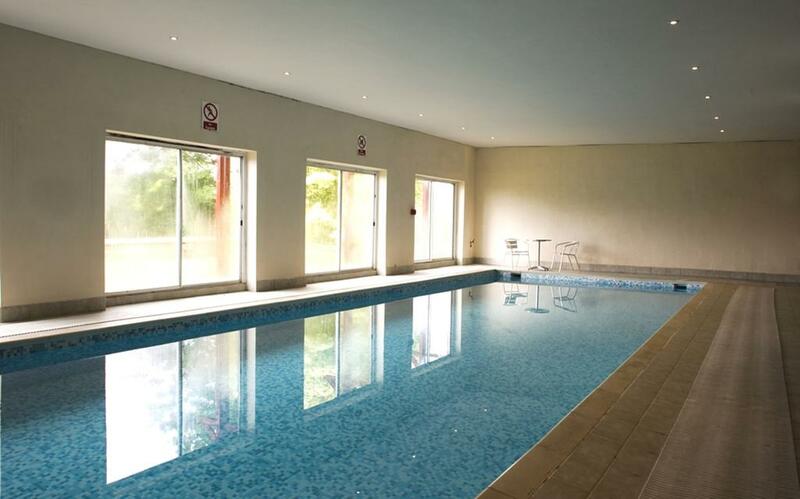 The hotel has many leisure facilities including an indoor swimming pool, cricket field, fishing and access to footpaths and cycle paths. We can also arrange other special activities, including horse riding, quad biking, tank driving, paintballing, clay pigeon shooting, archery, grass carting, off-road driving, helicopter and balloon flights. If you are looking for a wedding venue or conference facilities then Riverdale Hall is a great choice. Unlike many establishments, we offer a choice of courses for your wedding breakfast in our award winning restaurant. We also include the bridal suite with our compliments. The hotel is the ideal gateway from which to explore the Northumberland National Park, Hadrian's Wall and Kielder Water. Hillborough House offers stunning guest accommodation in a charming property. Located in the centre of a quaint Cotswold village, we are the perfect base from which to explore the local area. Our superb guesthouse offers comfortable and relaxing accommodation. There are 3 en suite bedrooms to choose from and each room is tastefully furnished. The family room is situated on the second floor and is ideal for a family of 2 adults and 2 children. They benefit from delightful views over the green. 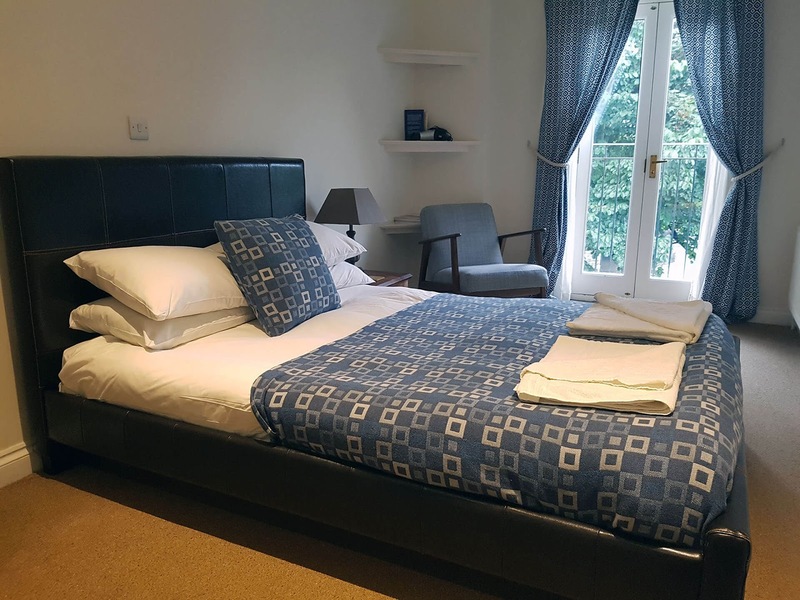 The 1st floor double bedroom has a king size bed and enjoys glorious views to the hills over the green, whilst the ground floor twin room has easy access from the car park. All the rooms include a range of excellent facilities such as a TV, hospitality tray, alarm clock and hypoallergenic pillows. Every morning we serve a delicious breakfast in the breakfast room. This includes a continental and full cooked breakfast. Burford is situated in north Oxfordshire, twenty miles west of Oxford and is considered the southern gateway to the Cotswolds. A beautiful old Cotswold town, its high street enjoys views over open countryside, down to the willow-fringed River Windrush in the pretty Windrush Valley. The famous university city of Oxford is 25 miles to the east whilst Shakespeare’s Stratford lies 28 miles to the north, making our accommodation an ideal base for touring the beautiful Cotswolds and the heart of England. Rowsley Hall Farm is a 200 acre working beef and sheep farm, providing delightful and friendly bed and breakfast accommodation in Rowsley near Bakewell in Derbyshire. It is an ideal base for exploring the area, including Chatsworth House and Haddon Hall which are only 2 miles away. Our comfortable bed and breakfast accommodation consist of two en-suite rooms, both with their own private entrances. One is a large converted hayloft which sleeps up to 3 people and the other is a ground floor annexe, sleeping up to 2 people. Both rooms at the B&B have a sofa, TV, tea and coffee making facilities as well as some thoughtful extras to make your stay as comfortable as possible. There are beautiful views over the farm itself, as well as the surrounding rolling hills and countryside. A full English breakfast is served in the large farmhouse kitchen, with eggs and honey from the farm, homemade bread, jams and marmalade to complete the meal.